Starting up a new business is a risk in itself, especially since it involves investing your money in something that you’re not 100% sure will pay you back. But then again, this is not the only risk you’ll face now and in the future as an entrepreneur. However, this risk is minimized by taking measures that increase your chances of success. These may involve investing well in management, marketing, and customer service, as well, as maintaining a high-quality product or service culture. But the risks don’t end there. A simple mistake in customer service, finance, or product quality could result in suits that could render your business bankrupt in the snap of a finger. Here are the top 4 ways to protect your small business as a new owner. Insurance is one of the most important things for any business. Situations arise, like when a customer or employee accidentally slips, falls and sustains injuries in your business premises, for instance. In such a case, business liability insurance will protect you against resulting suits as well as the associated medical and legal costs. Depending on your type of business, there are various types of insurance you may want to consider. Some of these include liability insurance, errors & omissions (EAO), and auto insurance, as well as D&O insurance for large business setups. Speak to your nearest insurance agencies or legal counsel for advice on the type of insurance your business might need. Business insurance protects you, your business and its assets. Business law is quite an expansive area. Hiring a competent attorney will protect you from a wide range of blunders most business owners tend to make. 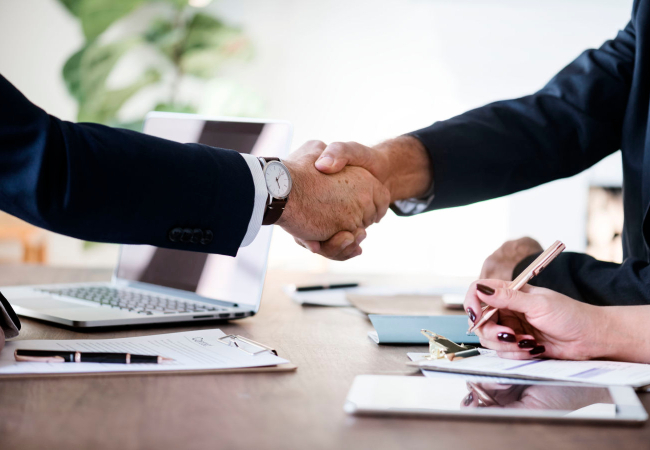 In most cases, a business attorney will provide advice for you when getting into a contract, purchasing assets, formulating employment contracts for your employees, creating any terms and conditions, and even dissolving the business, especially if it’s a partnership or corporate entity. They will also represent you in court in case something happens and a court of law summons your business. It is essential to conduct thorough research and vet a number of business attorneys before selecting the most competent one. In this case, you’ll want to consider factors such as their experience, reputation, track record with their previous clients, and of course, the fees, among other things. You can get more information online from sites such as LegalZoom. Specific claims, utterances, statements, and actions can put your business in hot soup. Something as little making rude utterances to a client could be a surefire cause of your businesses downfall. This is especially the case in this day and age where the social media dominates the business world. Additionally, conducting activities that might make the integrity of your business operations questionable can easily drive your business to its knees. if you’re accepting payments through debit cards, credit cards, swift transfers, mobile money, and online payment systems, be sure to work with a reliable provider who takes extra measure to ensure a high level of security. In addition to the above, it is important to abide by the legal requirements for conducting your business. This includes things such as registration, licensure, permits, and tax remission. With these few pointers, however, you can easily protect your small business and give it room to achieve the growth you’re looking forward to.